.... In days gone by, funerals did not focus on “celebrating” life at the expense of ignoring death. Funerals acknowledged the mystery and liminality of death by fostering serious reflection on both the meaning of life and its finitude. “Earth to earth, dust to dust, ashes to ashes,” the minister would say at the interment while tossing a clod of dirt into the opened grave. 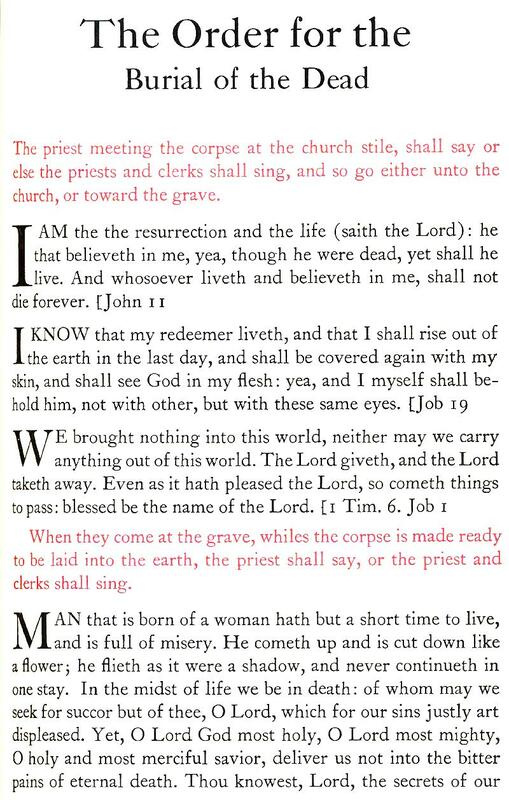 This act was done “in the sure and certain hope of the resurrection” (Book of Common Prayer). Though the liturgy may be gently worded, there is no hiding the fact that, in a funeral, Christians raise a fist at death; recount the story of the Christ who suffered death, battled death, and triumphed over it; offer laments and thanksgivings to the God who raised Jesus from the grave; sing hymns of defiance; and honor the body and life of the saint who has died. George goes on to describe the funeral service Scalia wrote of approvingly and includes the entirety of Scalia's letter to the pastor.